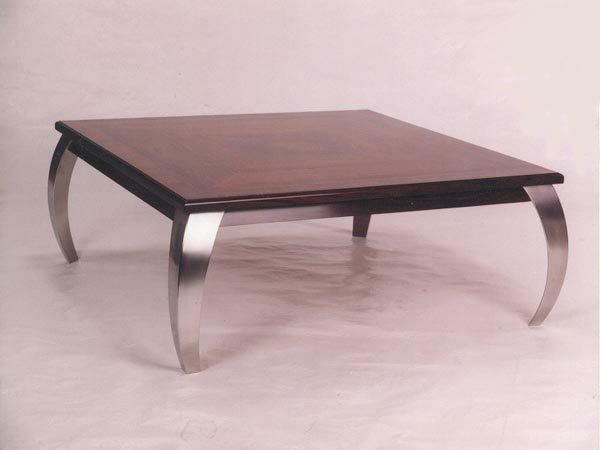 This contemporary cocktail table is hand crafted from Rosewood inlays and Cocobolo solids and features hand crafted stainless steel legs. An excellent addition to the interior of a yacht. Available in many different styles and sizes. Custom tops also can be made to fit your home's decor.